The Alfresco AB-30DR 30 In. 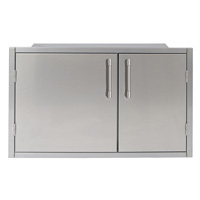 Large Capacity Storage Drawer has a Counter front cutout requirement of 14 In. x 27.75 In. 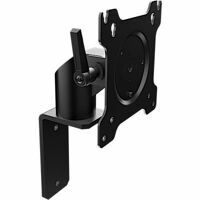 The Alfresco AB-DDC-L 32 In. 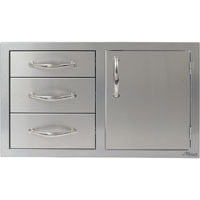 Combo Door Plus Three Drawers features a left handed door. 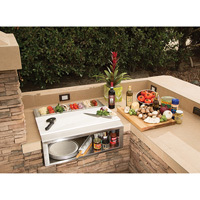 Deliver an unbelievable outdoor cooking experience that you and your guests will never forget with Alfresco’s 14 inch sink and beverage center. 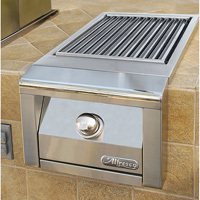 The Alfresco AGSZ-LP Sear-Zone Side Burner is a ceramic infrared searing burner in a convenient, self-contained unit. Requires a countertop cutout of 10.25 In. (h) x 13.25 In. (w) x 23 In. (d). 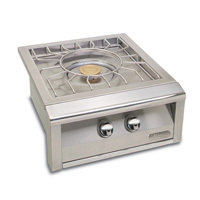 The Alfresco AGSZ-NG Sear-Zone Side Burner is a ceramic infrared searing burner in a convenient, self-contained unit. Requires a countertop cutout of 10.25 In. (h) x 13.25 In. (w) x 23 In. (d). Restaurant-inspired plating station with food pans, carving board and plate storage below. Food, knife, glassware, tableware, and plates not included. The Alfresco APWC 10-In. 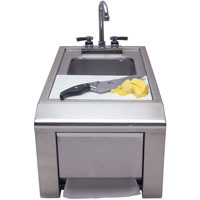 Prep Plus Waste Chute is a convenient counter top cutout for food prep with a sliding poly cutting board that covers the trash chute for handy food waste disposal. 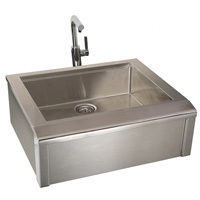 The Alfresco ASK-T Prep Plus Hand Wash Sink is an all-stainless steel design with hot and cold faucet, removable cutting board and cold faucet, cutting board and C-fold towel dispenser. The Alfresco AXE-DDC-R 32-In. 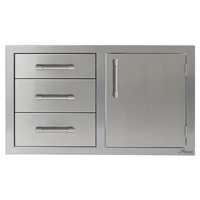 Combo Door Plus Three Drawers features a right-handed door on the right-hand side of the unit and three drawers. Counter front cutout requirement: 29.25 In. x 18.5 In. x 19.25. The AXEDSP-30H is a 30-In. high-profile dry pantry that stores dry goods, cookware, tools, and more in a complementary sealed environment, safe from weather and pests. The the sealed pantries feature drawers and adjustable shelves. the foam gasket on cabinet face makes for a tight seal, and a new integral rain gutter diverts water around and away from the cabinet. The AXEDSP-30L is a 30-In. 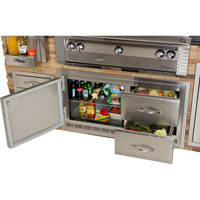 low-profile dry pantry that stores dry goods, cookware, tools, and more in a complementary sealed environment, safe from weather and pests. The the sealed pantries feature drawers and adjustable shelves. the foam gasket on cabinet face makes for a tight seal, and a new integral rain gutter diverts water around and away from the cabinet. The 30-In. high-profile dry pantry that stores dry goods, cookware, tools, and more in a complementary sealed environment, safe from weather and pests. The the sealed pantries feature drawers and adjustable shelves. the foam gasket on cabinet face makes for a tight seal, and a new integral rain gutter diverts water around and away from the cabinet. The 42-In. 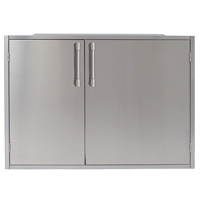 low-profile dry pantry that stores dry goods, cookware, tools, and more in a complementary sealed environment, safe from weather and pests. The the sealed pantries feature drawers and adjustable shelves. the foam gasket on cabinet face makes for a tight seal, and a new integral rain gutter diverts water around and away from the cabinet. The Alfresco AXEFW 14-In. Built-In Food Warmer requires a countertop cutout of 10.25 In. (h) x 21.5 In. (w) x 2.5 In. (l). 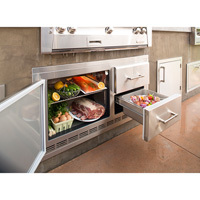 With the basic food warming unit, it includes three food pans and lids, Sterno fuel cans, fuel can holders and adjustable lids, food well, and removable chafing tray. The Alfresco AXEFWC 14-In. 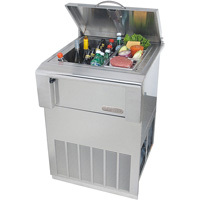 Cart-Mounted Food Warmer includes the basic food warming unit, it includes three food pans and lids, Sterno fuel cans, fuel can holders and adjustable lids, food well, and removable chafing tray. 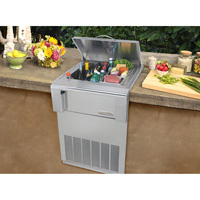 Save valuable counter space with the Alfresco AXE-ID under-counter ice drawer and beverage center. 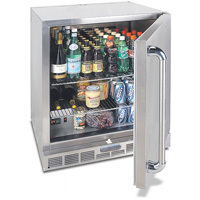 The all-stainless steel construction holds up to 150 lbs and is fully insulated. Use as cold drink storage or remove the 4 condiment pans, bottle and glass storage components and use the 6-in. 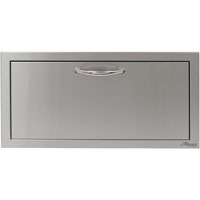 deep stainless steel pan to use as an ice drawer. The Alfresco AXESB-2C-LP 14-In. Dual Side Burner for Cart Mount is built with all commercial stainless steel and heli-arc welded seams. It features two 20,000 BTU burners with electronic ignition. 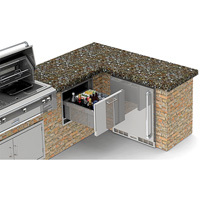 Recessed top and stainless steel cover offer protection from wind and elements. 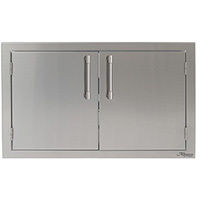 Available as built-in unit or mounts to cart model grills in place of side tray. The Alfresco AXESB-2C-NG 14-In. Dual Side Burner for Cart Mount is built with all commercial stainless steel and heli-arc welded seams. It features two 20,000 BTU burners with electronic ignition. 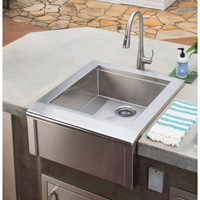 Recessed top and stainless steel cover offer protection from wind and elements. 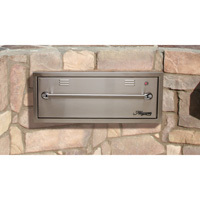 Available as built-in unit or mounts to cart model grills in place of side tray. The Alfresco AXESB-2-LP 14-In. 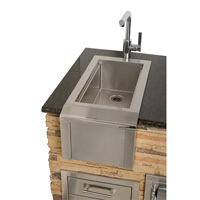 Built-In Dual Side Burner is built with all commercial stainless steel and heli-arc welded seams. It features two 20,000 BTU burners with electronic ignition. 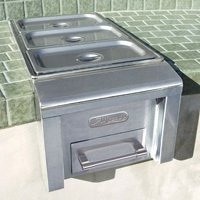 Recessed top and stainless steel cover offer protection from wind and elements. 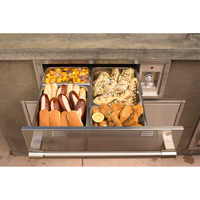 Available as built-in unit or mounts to cart model grills in place of side tray. The Alfresco AXESB-2-NG 14-In. 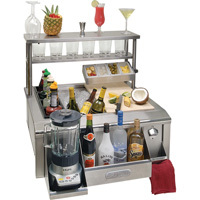 Built-In Dual Side Burner for Cart Mount is built with all commercial stainless steel and heli-arc welded seams. It features two 20,000 BTU burners with electronic ignition. 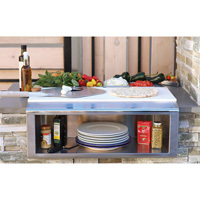 Recessed top and stainless steel cover offer protection from wind and elements. 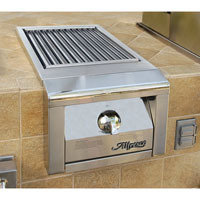 Available as built-in unit or mounts to cart model grills in place of side tray. 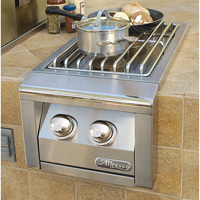 The Alfresco AXESZ-LP Sear-Zone Side Burner is a ceramic infrared searing burner in a convenient, self-contained unit. Requires a countertop cutout of 10.25 In. (h) x 13.25 In. (w) x 23 In. (d). The Sear Zone burner reaches 1500 degrees F in four minutes and cooks 50 percent faster with virtually no flare-ups. 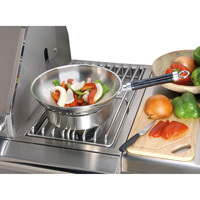 The Alfresco AXESZ-NG Sear-Zone Side Burner is a ceramic infrared searing burner in a convenient, self-contained unit. Requires a countertop cutout of 10.25 In. (h) x 13.25 In. (w) x 23 In. (d). The Sear Zone burner reaches 1500 degrees F in four minutes and cooks 50 percent faster with virtually no flare-ups. Alfresco AXE-TH 17-In. 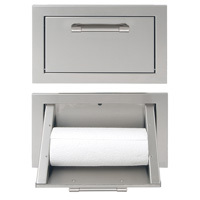 paper towel holder accommodates standard paper towel rolls features spring-loaded stainless steel hardware and requires a counter front cutout of 14.5 In. x 8.5 In. x 7.88 In. The Alfresco AXEVP-TG 19-In. Teppanyaki Griddle is a 3/16-in. 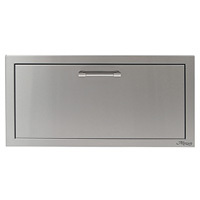 solid stainless steel plate with back and end splashes. 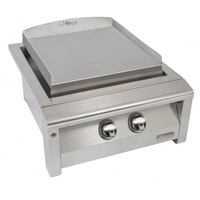 Multifunctional and ideal for multiple cooking styles, including Japanese Teppanyaki cooking, breakfast griddling, Mexican grill, Kamal Tortilla Cooking, and even works well as a plate warmer to keep those steaks sizzling when served. 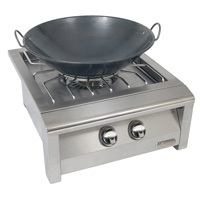 The Alfresco AXEVP-WOK 21.5-In. Commercial Wok for Versa Power Cooker allows the chef to remove the center ring grate from the Versa Power and drop the wok into the spider grate. The Alfresco 30-In. 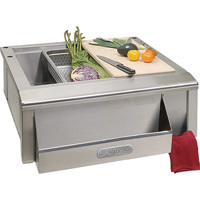 wide drawer with electronic temperature control includes four convenient removable stainless steel food pans each with removable stainless steel lid. The Alfresco BO bottle opener with cap catcher and towel holder offers dual features to customize your 30-In. Versa Sink. 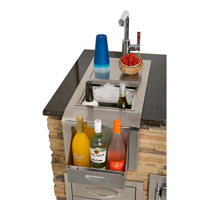 The bottle opener includes a cap catcher to keep your outdoor kitchen clean and a towel rack to keep your hands and bar clean. The Alfresco BWELL 4-bottle wells with holder tray is an accessory for the 30-In. Versa Sink. The Alfresco COLANDER is a 4-in. deep stainless steel colander. Its a convenient accessory for the 30-In. Versa Sink for easy draining. The Alfresco CT condiment tray is an accessory for the 30-In. 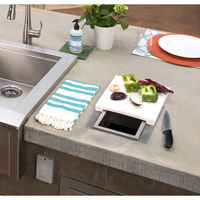 Versa Sink modular system. 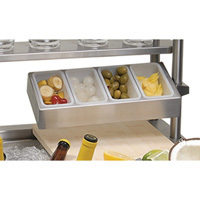 Adding this component offers garnish storage for your drink preparations. Its a bartenders best friends by keeping small items cold and within arms' reach. The Alfresco ICE-PAN is a 6-In. Deep Stainless Steel Ice Pan and a useful optional addition to the 30-In. Versa Sink. 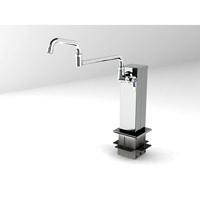 It slides on the sink rails to allow easy filling of ice for drinks or for chilling bottles or drinks. 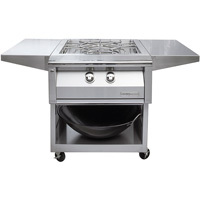 The Alfresco PR-30 High Shelf with Pot Rack and Light is an accessory for the 30-In. Versa Sink. It requires a 115 VAC outlet installed under the AGBC-30 unit for proper installation.This configuration offers a true commercial food prep set up. 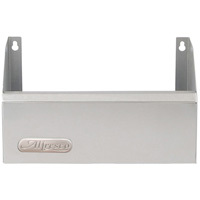 RAIL-14 - Speed Rail 14"
The Alfresco RAIL-14 14-In. wide speed rail holds bottles for easy access. RAIL-19 - Speed Rail 19"
The Alfresco RAIL-19 19-In. wide speed rail holds bottles for easy access. The alfresco SRP-LG Large Speed Rail is an accessory for the 30-In. Versa Sink. It holds bottles for easy access. The Alfresco SRP-SM Small Speed Rail is an accessory for the 30-In. Versa Sink. It holds bottles for easy access. An accessory of the 30-In. Versa Sink. 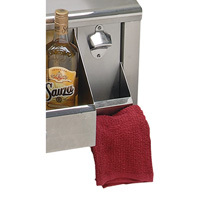 This towel holder is a simple bar for hand towels.